Spikes have been around since the Ancient Britons and Celts. Although subjugated at times, they found revival during the punk movement and ever since have been an integral part of the punk subculture. With time, spikes have evolved and made their way into mainstream fashion. So, if you’re looking for a hairstyle reinvention, look no more. Funky, bold, and sassy, there’s definitely one spiky hairdo that will suit all of you out there, irrespective of your face type. 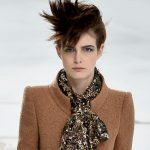 From Kelly Osbourne’s side-swept spiky hair to Portia De Rossi’s spiky short hair – we have compiled a list of ten head turning, short, spiky hairdos that will look amazing on everyone. 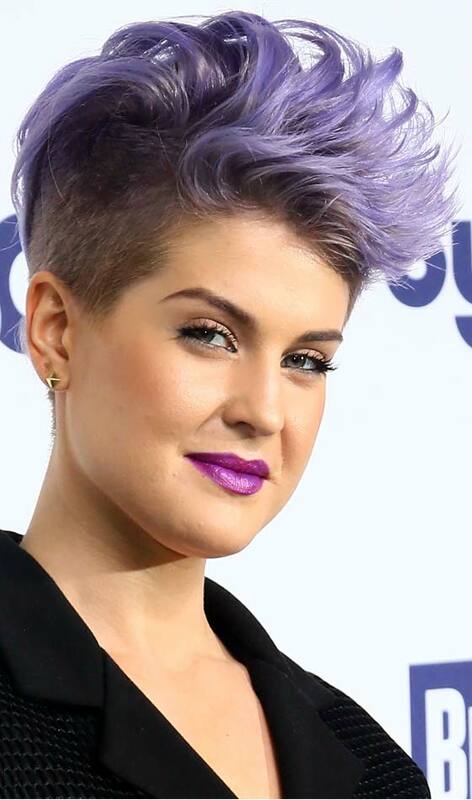 When it comes to rocking lilac side-swept spikes, there’s only one celebrity that comes to our mind – Kelly Osbourne. At the NBCUniversal Cable Entertainment Caps off, the former Fashion Police presenter wore her signature edgy and undone spikes, and we absolutely loved it! Perfect for a woman with a lot of attitude and confidence, the soft spikes with side-shaved hair adds a bit of a boyish charm to any look. 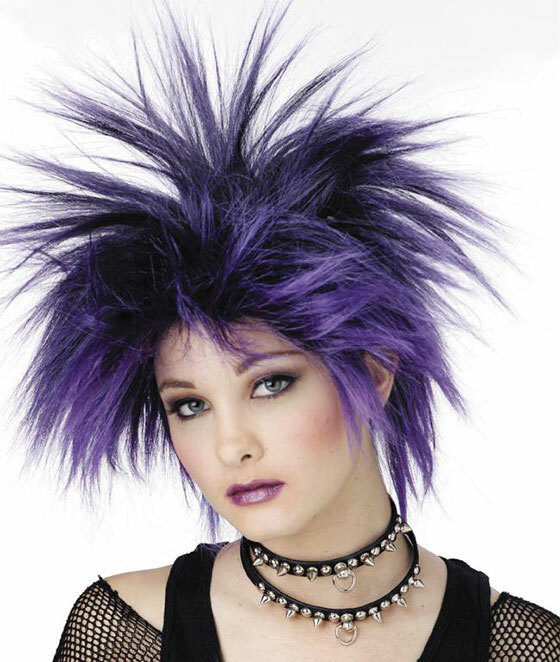 If you want to pull off the bold punk-inspired side swept spikes, we’ve got it sorted for you! 1. Apply a mousse to prep your clean and dry hair for the hairdo. 2. Take the middle section of your hair and brush it upwards. 3. Blow dry your hair while brushing it sideways for the side swept look. 4. Finish it off with a light hold texturizing spray. Halle Berry stepped out in California showing off her glossy, extremely short and shaggy spiky hair. Fun and flirty, this hairstyle is perfect for an oval shaped face. Apply a dollop of texturizing hairspray to add volume to your hair. Finger comb your hair to create spikes. Secure it with a light-hold texturing spray. Miley Cyrus scores major hair points for the edgy, blond, rock and roll spiky hair she sported at the Costume Institute Gala. The Wrecking Ball singer paired her punk-inspired hairstyle with a Marc Jacobs sequined fishnet dress, Eddie Borgo jewelery, and a red pout. Apply some pomade to make your hair manageable. Spike your hair up using a fine toothed comb. Apply a light hold texturizer spray to hold the spikes in place. 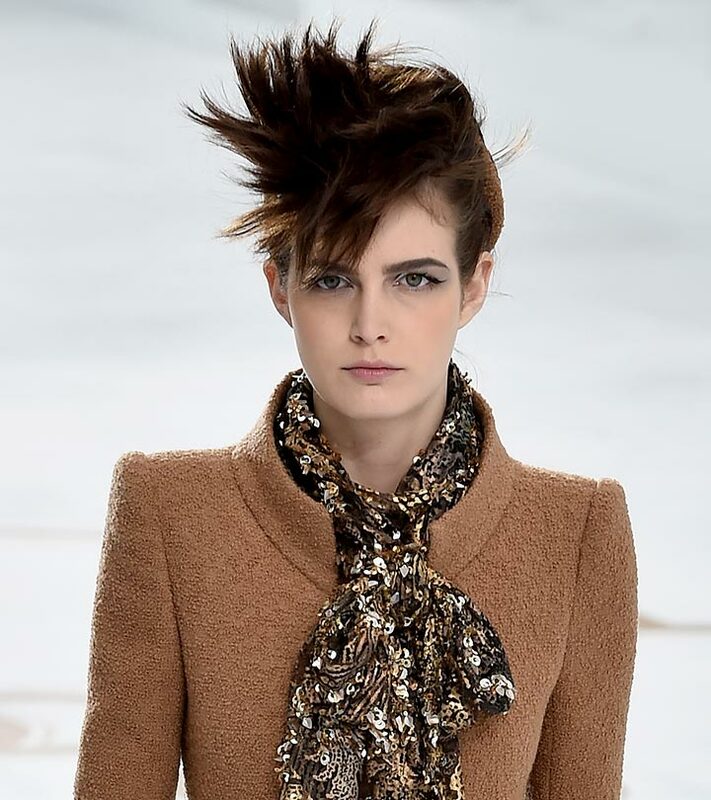 This edgy, funk-inspired hairstyle looks incredible on this model at the Chanel show. We love how she’s got her brown hair randomly sweeping on top of her head. A versatile hairstyle that can be adjusted for any occasion, this hairstyle can be paired with dramatic cat eyes for that extra edge. Apply mousse to your hair. Part your hair and separate the front section. Randomly spike your hair to one side. Apply a light-hold hairspray to secure the hairdo. 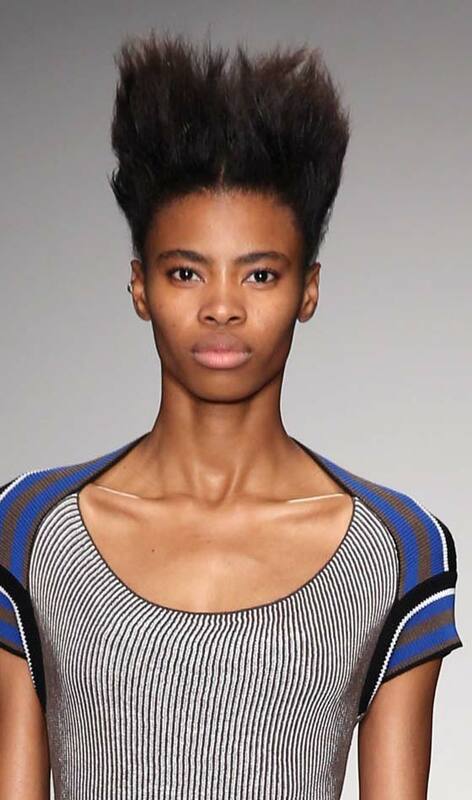 At the Vivienne Westwood Red Label Show, we spotted a model sporting longish, sky high brown spikes. 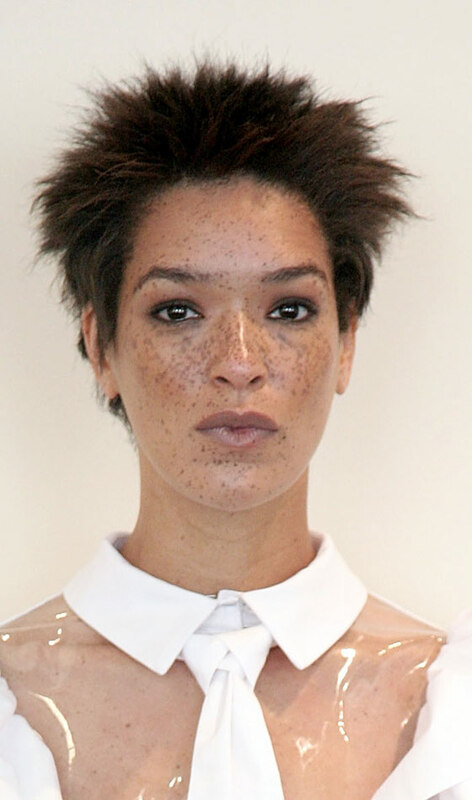 The unstructured hairstyle is definitely having a hair of the moment at the fashion world. Although bold, the hairstyle, matched with simple makeup, will perfectly complement a chic dress. Apply mousse on your hair. Back comb your hair upwards for the high spikes. Make the hairdo stay put with the help of a strong-hold hairspray. At the Costume Institute Gala for the ‘PUNK: Chaos to Couture’ exhibition, socialite Julie Macklowe rocked a pink, sky high, soft spiky hairstyle. This hairdo is quirky and flirty, with layers and loads of colors. 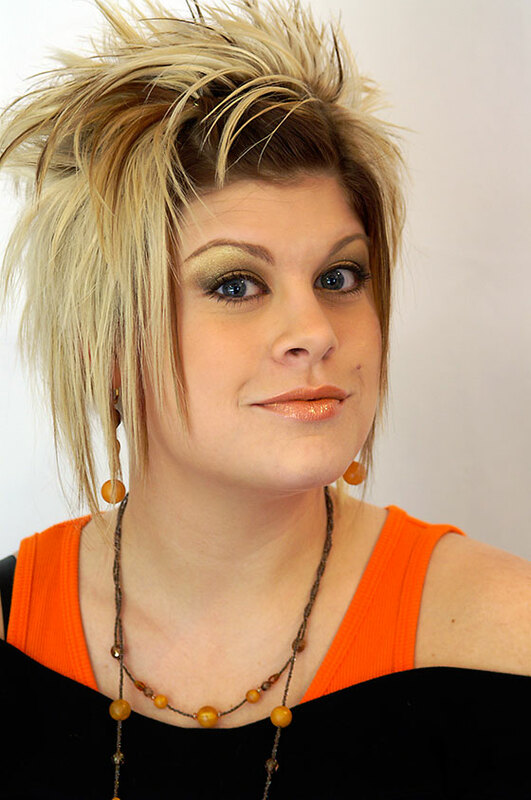 So, if you’re confident and looking for a funky new look, this soft spikes hairstyle may be a good choice to opt for. Prep your hair with a mousse. Take the middle section and back comb it for soft spikes. Complete the look with a light-hold spray. 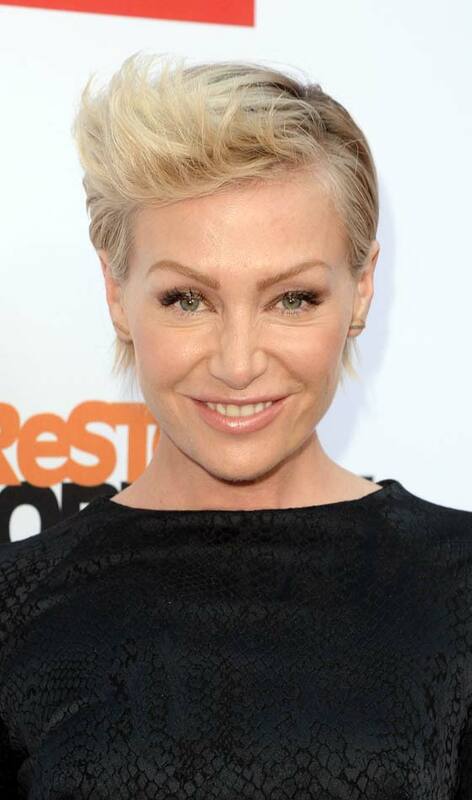 Actress Portia de Rossi chopped off her medium-length hair for this modern, soft, undone spiky hair. Her daring hairdo made the actress look young and drew attention to her gorgeous face. For a bolder look, you can make the length of the spikes uneven and make them rougher in texture. Brush the middle section of your hair into soft spikes and comb it to one side. Secure the spikes in place with a light hold hairspray. 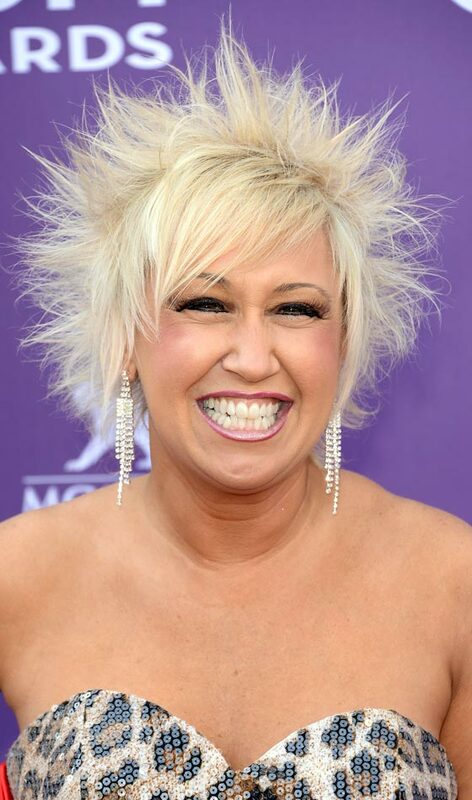 Singer Tobi Lee of Mustang Sally looks fierce with her cool, messy spikes that she flaunted at the 48th Annual Academy of Country Music Awards. This short blond hairstyle is very versatile, so experiment with different lengths and textures on the top – for instance, you can opt for a more polished look or use pomade for a punk-inspired look. Apply pomade to prep your hair. 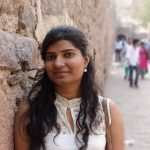 Make a partition on one side. Leaving the front bangs, spike your hair randomly so as to get messy spikes. 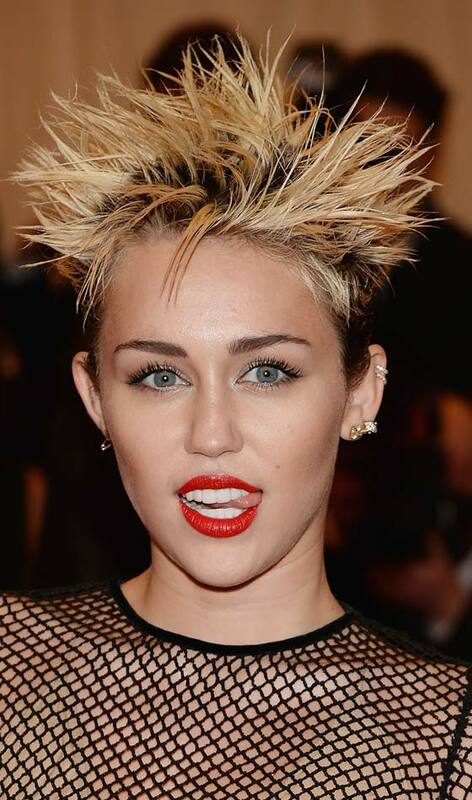 Blow dry your spiked hair. Finish the look with a set spray. 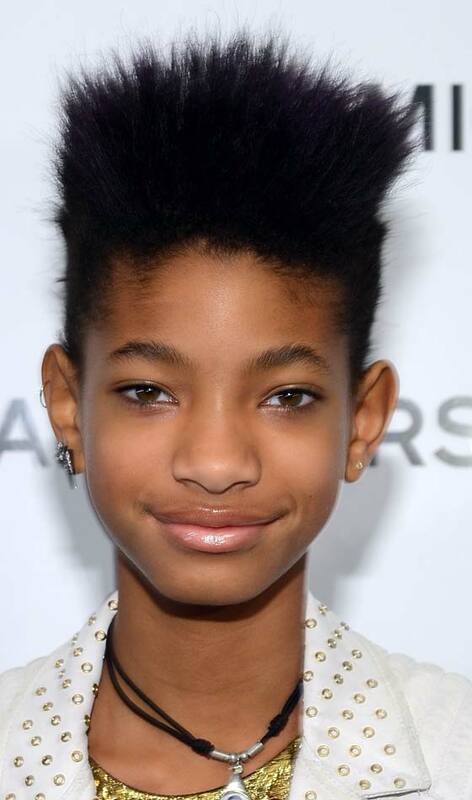 Singer Willow Smith’s spiky fauxhawk is perfect for those stylish girls who dare to take a risk when it comes to their hairstyle. Perfect for square faces, this hairstyle flatters your cheekbones and chin. Apply a good amount of pomade to your hair. Pull up your hair and straighten it with the help of a flat iron. Once done, mist your hair with a texturizing spray. Effortlessly chic, flattering to the face and uber-cool – the model at the Ebony White presentation during Mercedes-Benz Fashion Week has everything right going on with this hairstyle. Pair the look with minimal makeup and glossy lips to draw attention to your quirky hairdo. Prep your hair with pomade. 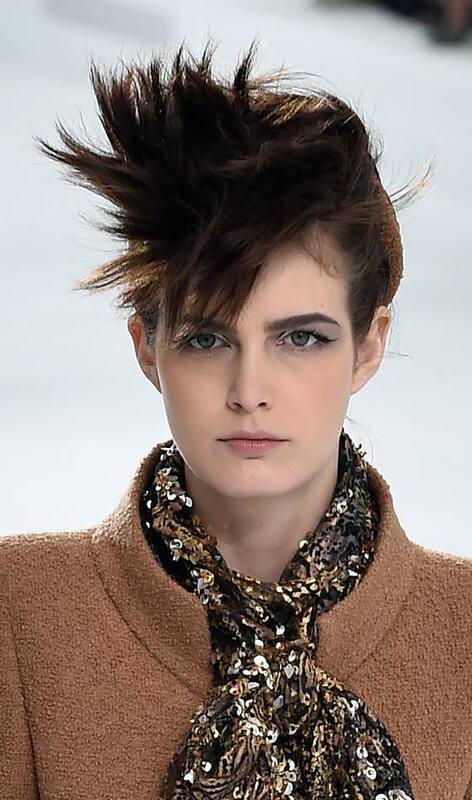 Brush your hair outwards for spikes. Blow dry your hair and finish with a light-hold spray. A part of the Punk subculture, liberty spikes’ origin can be traced back to the Ancient Britons. The style faced subjugation during British colonization but revived as the punk subculture evolved. The cobalt blue-black dye takes this liberty style up a notch. Prep your hair with mousse. Comb your hair into straight, pointy spikes outwards. Using a flat iron, straighten the spikes. Finish off the look with a strong-hold hairspray that will hold the spikes in place. Another Avant-Garde hairstyle, the shaved Mohawk has blended into modern fashion from the indigenous Mohawk people of North America. 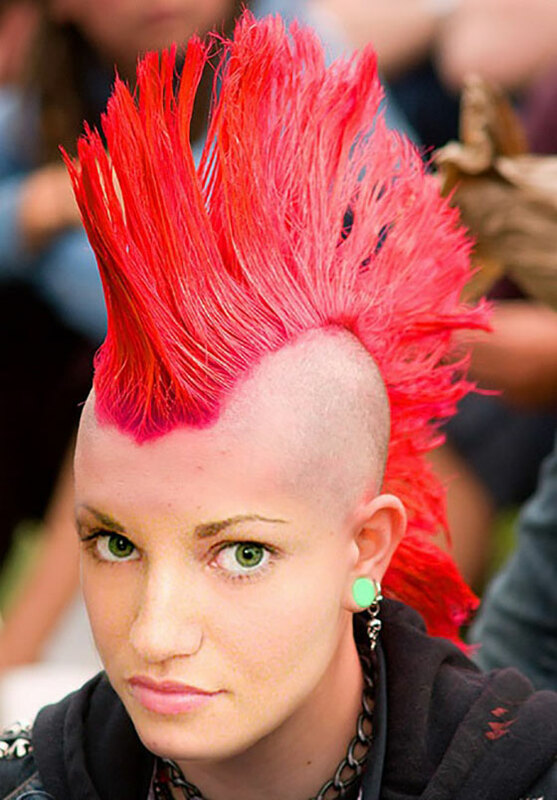 Nowadays, the Mohawk is a bold form of expression for people from both genders. Shave the hair on the sides of your head, leaving a strip of considerably longer hair in the middle. Apply pomade to prep your hair for the Mohawk hairdo. Brush your hair vertically so as to get the Mohawk spikes. Secure the hairdo in place with a light hold hair spray. Who doesn’t love emo hairstyles? The statement hairstyles are definitely unconventional and add oomph to your persona. Use a mousse to prepare your hair. Brush down the hair at the front and sides. Take the hair from the crown and spike it up. Spray a light hold hairspray for the emo spikes to hold up. With the help of mousse, prep your hair. Make two partitions in your hair. Comb both the side sections of your hair close to the scalp. Now, take the middle section of the hair and brush it into vertical spikes. Dye your hair in rainbow colored strips. Finish the look with a medium-hold hairspray. 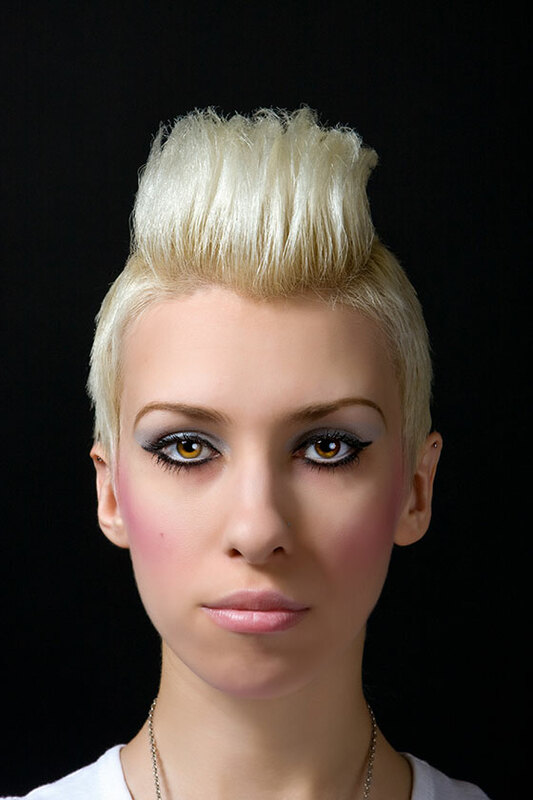 Another variation of the timeless Mohawk hairdo is the soft Mohawk spiked look. This is a more feminine and subtle version of the Mohawk spikes. Soft brushed spikes can make for an unconventional and flirty style statement. Prep your hair up using a mousse. Spray a texturising spray prior to styling. Back comb your hair vertically into soft spikes. Make the hairdo stay put with a light hold spray. 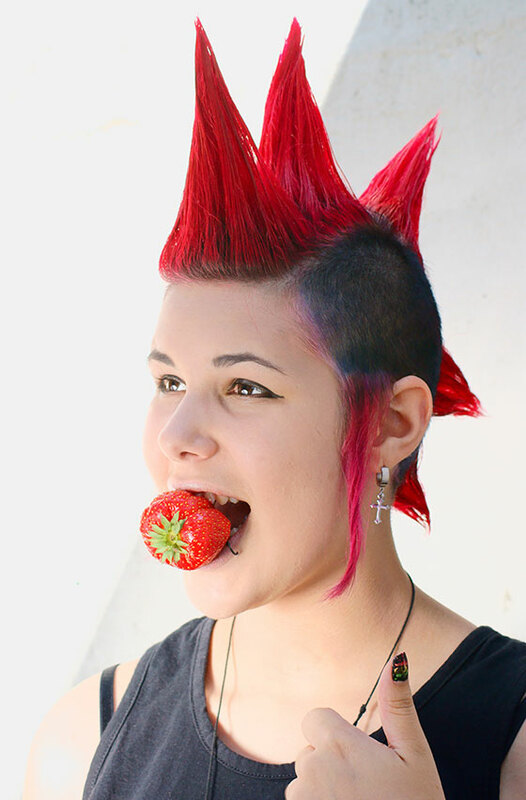 Another bold and beautiful hairstyle from the Punk subculture. 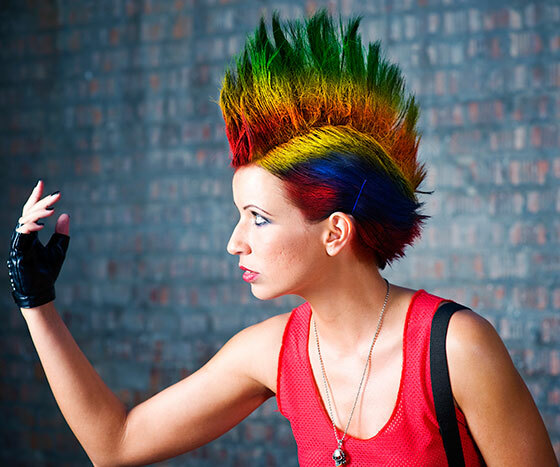 Defying stereotypes, this hairstyle sure makes a bold style statement. The purple only adds to the funk of the hairdo. Brush your hair outwards in long spikes. With a flat iron, straighten the hair. Blow dry and finish with a strong hold spray. Are you in search of the best short spiky haircuts? Regular spikes too mainstream for you? We may have something for the likes of you! Edgy and sassy, the side Mohawk spikes bring together the boldness of spikes and the sophistication of a short haircut. Apply pomade to your hair to prep it. Take the middle section of your hair and brush it to one side. Brush it upwards to create the sideway spikes. Blow dry and spritz a light-hold hairspray to keep it in place. Spikes can be subtle and soft, as can be seen in this powder blue soft spiky hairdo. This spiky hairstyle doesn’t scream of a punk rebellion, but oozes sophistication and style. Apply a light mousse to your hair. Back comb the hair into spikes. Blow dry and make it stay put with a set spray. Going back to the Ancient Briton hairstyle, liberty spikes have come a long way from being the symbol of honor, to being a form of bold and non-conforming self expression. Today, liberty spikes have become an avant-garde fashion statement. Slightly comb your front bangs to give a casual look. 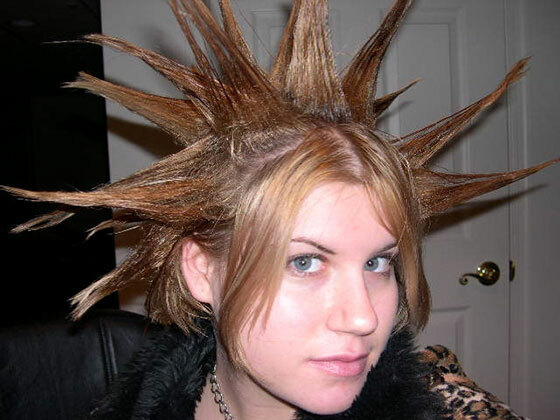 Spike your hair, and with a flat iron, straighten your spiked hair. Set the hairstyle with a hold spray. Divide your hair into sections and comb them upwards to get the spikes. Straighten the sections for strong upright spikes. Spray with a strong hold hairspray to make the hairstyle stay put. 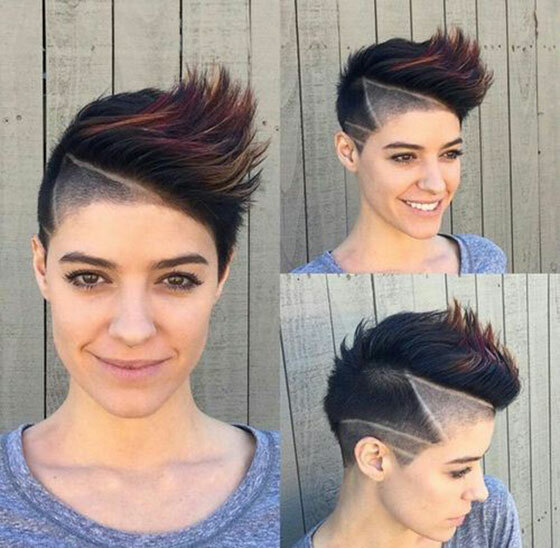 There you have it – 20 short spiky hairstyles for women who want to stand out from the crowd and make a statement. Do comment below if you loved these hairstyles as much as we did!